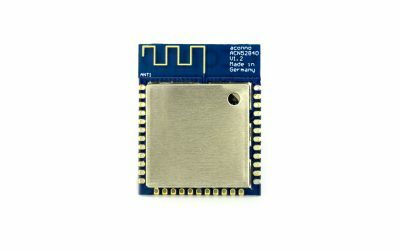 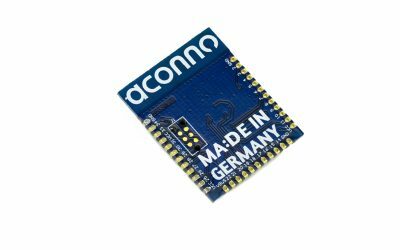 The ACN52840 is a fully integrated, ultra-low power, Bluetooth Smart (former BLE) module in a small form factor which features the advanced Nordic Semiconductor nRF52840 SoC – combining the latest Bluetooth 5 connectivity with a class leading performance. 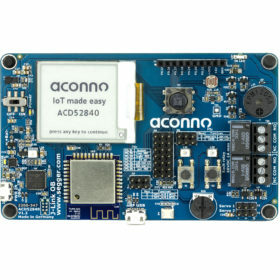 Its capabilities are tailored for the upcoming demands of sophisticated IoT devices where small size, low power, application performance and radio-range are essential. 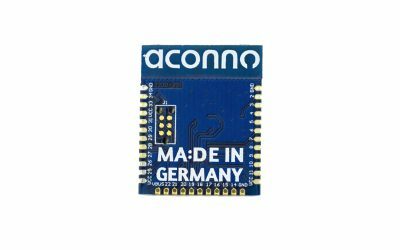 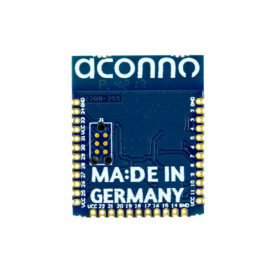 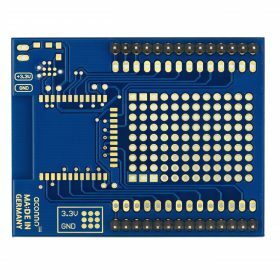 The ACN52832 module features a Bluetooth 5 compliant 2.4GHz transceiver, an ARM® Cortex™ M4F CPU @64MHz, 512kB of flash memory, 64kB RAM options, a suite of analog and digital peripherals, a DC-DC converter with advanced power management, combined with an on-board antenna for excellent RF performance. 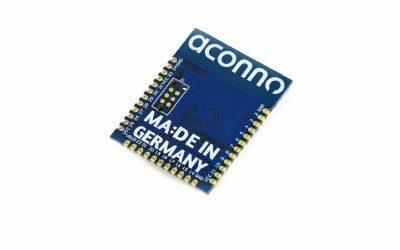 Unlike many competitors it features a maker-friendly PCB scale package which allows a fast and easy integration without sacrificing access to its advanced peripherals and capabilities.